These verses come from the earliest surviving Buddhist texts. Attributed to the Buddha himself, orally transmitted in simple stanzas, they may preserve what Siddhartha Gautama taught to his followers. Under themes as varied as “The Elephant,” “Flowers,” “Rust,” and “Twins,” these direct, pithy, and lively four-line (sometimes six-line) instructions proverbially capture the essence of letting go of the things and passions and delusions of this transient world. “Dhammapada” means the “teachings of the dhamma,” the ancient Pali (Middle Indian) language version of what we know from the older Sanskrit as “dharma.” This is the core Buddhist message of how to divorce one’s self from mundane and mental suffering. Valerie J. Roebuck endeavors to convey the colloquial energy of these sayings. She replaces the Penguin Classics translation by Juan Mascaro, although no reference to this 1973 version can be found in her new edition. She argues that the text expresses the rich culture of its Theravadin, South Asian origins, and that what some scholars have supposed as clichés instead show easily grasped and vividly rendered instructions on ethics and good conduct to prepare the hearer for renunciation of the pleasures of this life so as to reduce their accompanying pain. Her extensive introduction, cross-referenced glossary, and detailed commentary enrich the slender corpus of these 400 verses. Their inflected, intricate Pali may sharpen what in English threatens to drift. She relies upon commonsense as well as scholarship to express their packed meanings in a free verse, yet compact, rendering. She opts for vernacular equivalences rather than professorial stiffness, but her volume can be relied upon by academics as well as a wider readership wishing for an accessible entry into these accessible snippets of advice. Common comparisons frequently emerge. “Irrigators lead the water;/ Fletchers shape the arrow;/ Carpenters shape the wood;/ The true control themselves.” (#145) Other verses reinforce doctrines. In “Hells,” one notes of miscreants: “They are ashamed of what is not shameful/ And not ashamed of what is shameful:/ From taking up wrong views/ Beings go to a bad destination.” (#317) While condemnation is found in Eastern as in Western teachings, the subtle difference that the “beings” constitute a wider array of wrongdoers and that they bring their suffering upon themselves by making others suffer infuses this non-theistic instruction. An insistent, yet gently repetitive rather than hectoring or grating tone eases these admonitions. Roebuck as a practitioner as well as a scholar of Buddhism may be better placed to share her inner sensibility of how these verses sink into memory. Over a hundred pages of notes, as long as the space allotted to the verses themselves, provide commentary gleaned from scholars about these sometimes deceptively simple patterns of poetry. For instance, in “Happiness,” one gains insight into the backstory of this verse: “The victor breeds hatred;/ The defeated sleeps in pain./ The calmed one sleeps happily,/ Leaving behind victory and defeat.” (#201) Dr. Roebuck’s annotation explains how Kosala’s king, after being defeated three times in battle by his own nephew, refused to eat and stayed in bed. The Buddha spoke to him the verse above, to console him. Consolation and determination to seek the Buddha’s Middle Way between asceticism and indulgence permeates these words. Roebuck strives to capture their relevance for a world far removed from their origins in the third century B.C.E. They address any being wishing to contemplate the more lasting satisfactions beyond the distractions and cravings that ensnare us no less than the monastics of Sri Lanka, who collected what they remembered from the preaching and teaching of the Buddha, a short time after his passing. “The monk who, while still young,/ Applies himself to the Buddha’s teaching/ Illuminates this world/ Like the moon freed from a cloud.” (#382) Penguin, by commissioning a new translation of this venerable text, has found a skilled interpreter in Roebuck. 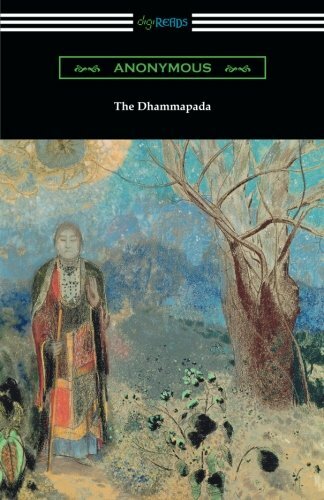 Beyond the mountain monastery or forest hermitage, as the dhamma or dharma attracts attention from those outside of universities and retreats, this compact volume expanding on compressed verse should reward readers who need direction, and meditators who desire guidance.